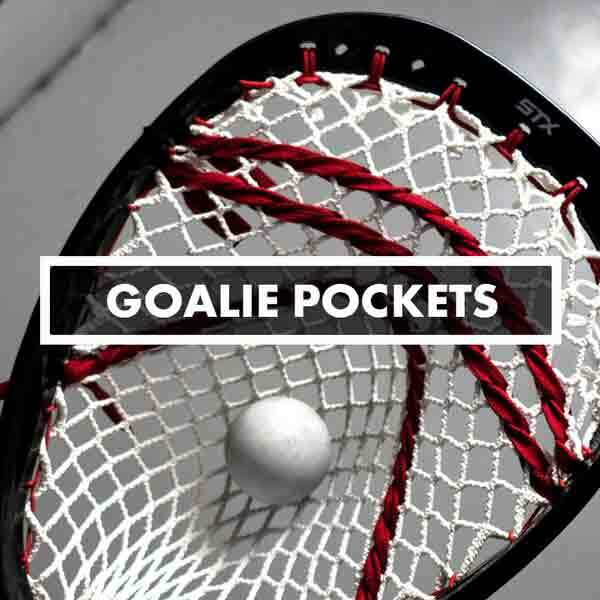 Goalie Lacrosse Pockets, Stringing, Mesh, Custom Strung Goalies We string mostly 12 Diamond Hard mesh in any color. Choose your side walls colors, Top String, and Shooting Strings. We also carry 20D Hard mesh and 10D in a few colors. We string mostly 12 Diamond Hard mesh in any color. Choose your side walls colors, Top String, and Shooting Strings. We also carry 20D Hard mesh and 10D in a few colors.